In celebration of blackberry season, we asked Sherrie Castellano, blogger at With Food + Love, to create a delicious summer inspired recipe for us highlighting our sweet, homegrown blackberries. For me, blackberry season means we are in the midst of our Midwest summer. Long, hot, steamy days, and nights. The heat is sometimes even oppressive. And the humidity is almost always unbearable. Blackberries seemingly make our summers better. Blackberries are typically celebrated in baked goods and sweet treats. Or like my favorite way to eat them, straight off the vine. 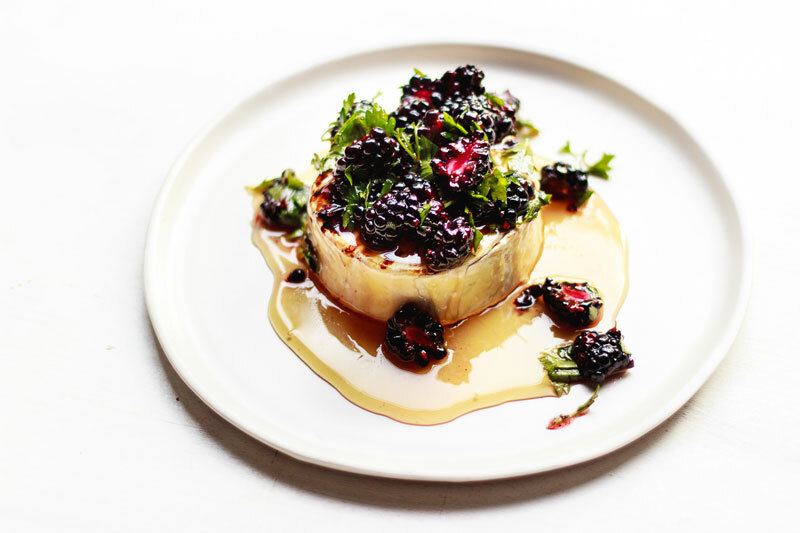 But in this grilled brie recipe, blackberries are incorporated in a savory application. When blackberries are in season and in their pinnacle of ripeness they combine well with bright herbs and earthy foods like in this case, brie. 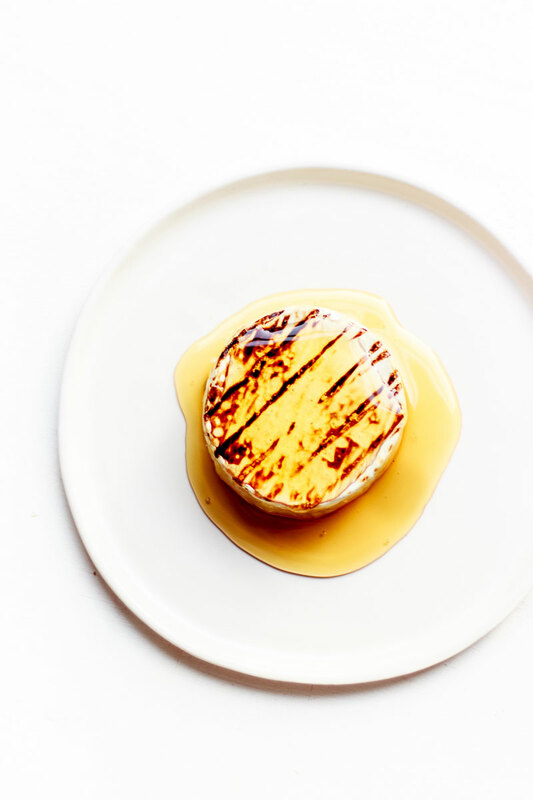 A fun take on a classic brie dish is to grill it. This softens the cheese just slightly while giving it some flavor all while keeping it simple in the summertime. Grilled brie topped with an herby blackberry smash, olive oil and honey should be your next entertaining dish. It’s an easy recipe to take it with you or make it at home. Serve it with a crisp bottle of rosé and you’re golden. Your guests will be more than satisfied. Heat the grill to hot. Brush the brie with 1 tablespoon of olive oil on each side. Grill the brie on each side for 1 minute or until there are distinct grill marks. Remove from the grill and set aside on a plate. Cut the blackberries in half and chop the parsley finely. Combine the remaining olive oil with the blackberries, parsley and a pinch of salt and pepper. Pour the honey over the brie and top with the blackberry mixture. Serve with crackers or toasted crostini.